James K. Mee, a partner at Ashford & Wriston, has practiced with the firm since 1982. Mr. Mee is designated as a LEED Accredited Professional by the United States Green Building Council. The Leadership in Energy and Environmental Design (LEED) Green Building Rating System is the nationally accepted benchmark for the design, construction and operation of green buildings. Mr. Mee is the recipient of the Hawaii State Bar Association’s 2004 Ki`e Ki`e Award for Pro Bono Service. This award is given to the individual who, in the opinion of the Bar Association, has contributed the most generously of his or her time in the cause of justice and advancement of our society. Mr. Mee is listed in Best Lawyers of America® in the areas of Real Estate, Eminent Domain and Condemnation, as well as being listed in Hawaii Super Lawyers in the area of Eminent Domain. Mr. Mee has also received an AV rating from Martindale-Hubbell. Mr. Mee has twice been named as Member of the Year of the Hawaii chapter of NAIOP, in 1998 and 2009. NAIOP, the Commercial Real Estate Development Association, is the leading national organization for developers, owners and related professionals in office, industrial and mixed-use real estate. Mr. Mee has written numerous articles which have appeared in local newspapers and trade publications on various aspects of landlord and leasehold issues. Mr. Mee has also written on a number of other topics including Public Access Shoreline Hawaii (PASH), Hawaiian sovereignty and title issues. Mr. Mee is a founder and secretary of the Hawaii Small Landowners Association. 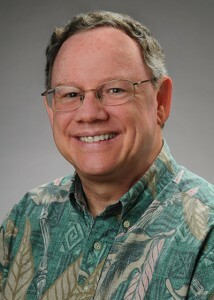 Mr. Mee is a member of the Oahu Advisory Council of the American Lung Association of Hawaii. He also is on the board of directors of the Hawaii chapter of the National Association of Industrial and Office Properties (NAIOP), and is the chair of its Legislative Affairs Committee. Mr. Mee is an Elder of the First Presbyterian Church of Honolulu and previously served as a trustee of the Hawaiian Historical Society.